Well, it’s officially the last day of winter. Tomorrow begins a new season and hopefully the spring snowstorm that’s expected later this week takes that into consideration. We’ll see. Before focusing future blog posts on this new season, we are featuring five must-have home accents that will complement your winter decor next year. They all happen to be in our clearance section, so shop quickly to take advantage of their special pricing. These home accents are beautiful when displayed around the holidays, but their flocked details make them perfect for decorating with all winter long. 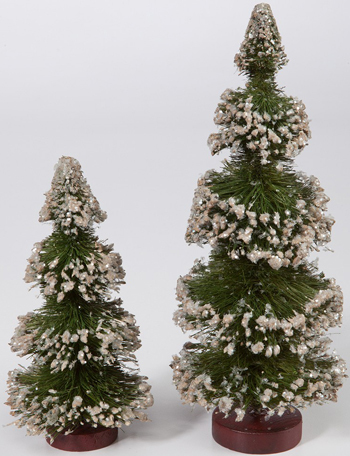 The trees are ideal in centerpieces and tabletop arrangements, offering greenery to collectibles and similarly rustic decor. 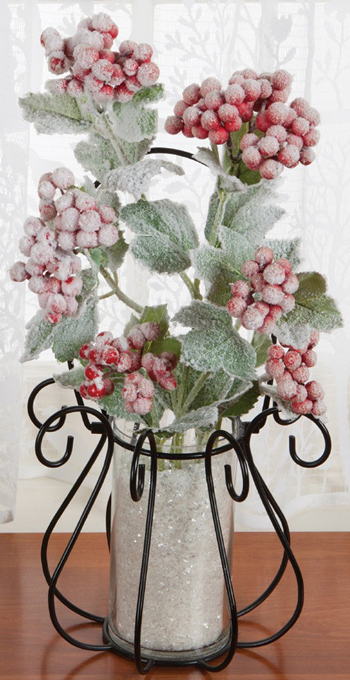 The red berries offer a rich color in any flower arrangement or vase, and make any room sparkle with winter charm. 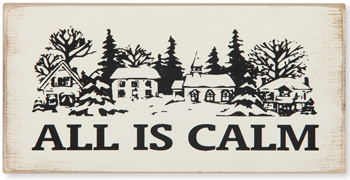 All three pieces of wall art are made here in the USA, and each offer something different for your home. The first makes a perfect shelf sitter, on a mantel, table or bookcase, and like the home accents above, works well with both holiday and winter accessories. 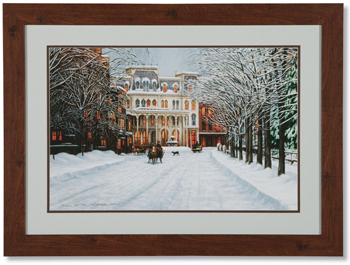 At Twilight is done by artist Loren Blackburn, and transports you to a snowy street of day’s past, giving any room nostalgic warmth. 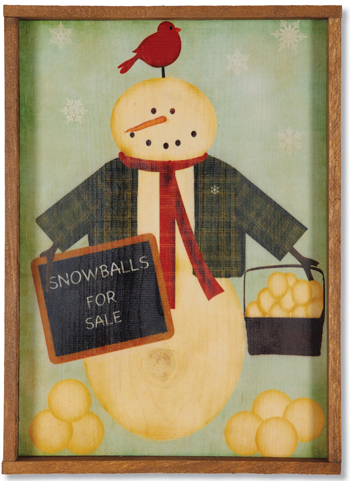 Finally, the snowman and red bird advertising snowballs for sale creates a fun look during the winter season, and is a piece of rustic wall art that holds timeless charm. 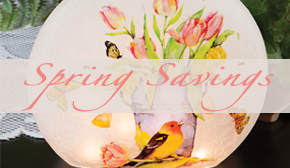 This entry was posted on Monday, March 19th, 2018 at 9:26 am	and is filed under Apartment, Art, Decorating, Holiday Decorating, Made in the USA, Monday Must-Haves, Seasonal Decorating, Thematic, Wall Decor. You can follow any responses to this entry through the RSS 2.0 feed. You can leave a response, or trackback from your own site.